Knights Templar on the Field of Battle, c1910. The Poor Fellow-Soldiers of Christ and of the Temple of Solomon, commonly known as the Knights Templar or Templars. The organisation existed for nearly two centuries during the Middle Ages. In 1129 they were officially endorsed by the Catholic Church, and the Order became a favoured charity throughout Christendom growing rapidly in membership and power. 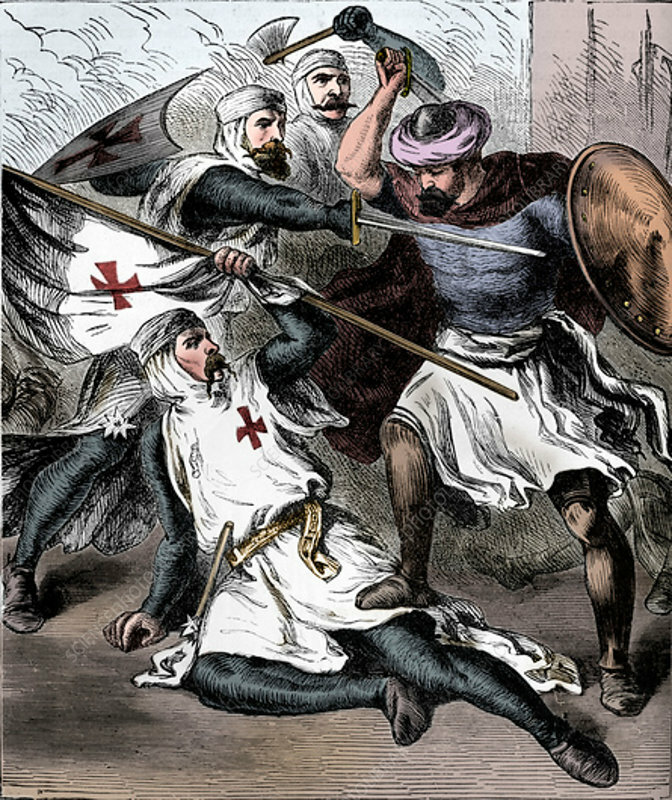 Templar Knights were among the most skilled fighting units of the Crusades. From a 'Pictorial Record of Remarkable Events in The History of the World', published by James Sangster and Co., c1910.